This is a really comfortable seat! Has a lot of padding and was very easy to install. The color is also great and doesn't show up spills. More than what I expected for a decent price. I shopped around for a while trying to find new Carseats that i could front face for my son and daughter but everything in store and online for the quality I wanted was too much. When I found this deal online and naught two I didn't think they would be as good as in the picture. But when they arrived they were amazing. So comfy and my kids love their new front facing carseats. They are safe and sturdy in the car when I safety fitted them, the material is great too. My mother brought name brand ones similar to the design on these ones but spent way more and I think my look better than hers lol. So yes very happy with my purchase. Highly recommended. I purchase this car seat for my 6 month old. He is my sixth child so I have owned many car seats. This one was very easy to install and secure. The padding is very soft to the touch and provides a lot of support. I am very happy with my purchase. Also UPS messed up the shipping but Albee baby made it right immediately. Great experience. Luxurious Safety At its Best! This carseat is so plush and comfortable that our baby can hardly keep her eyes open on even the shortest car trips. It is large and heavy, so it isn't the best option if you need to transfer it from one car to another. The ialert is a bit fussy, but is really a cool addition. We are thrilled with this purchase! ProsPlush, easy installation, very secure and is truly comfort and safety at it's very best. 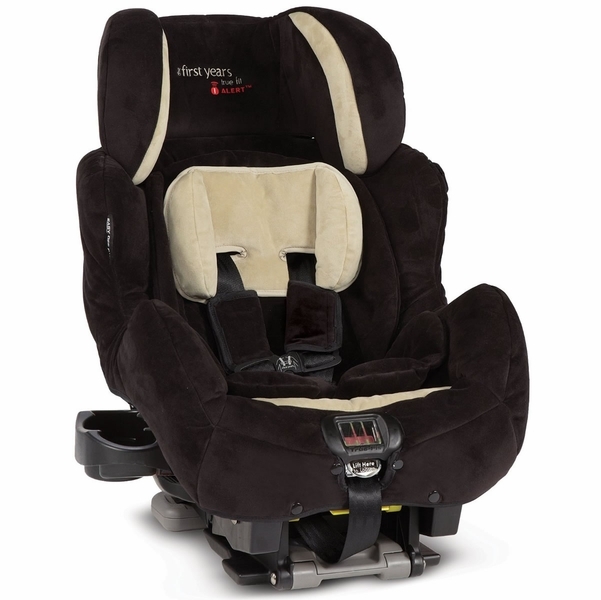 The nicest carseat with an attractive price tag. There is plenty of room for baby to grow from infant to kindergarten. ConsIt is large in length as well as width. Not suitable for compact cars or the need for three seats along the bak. Best UsesBest for larger vehicles. I can't see this fit for a smart car. 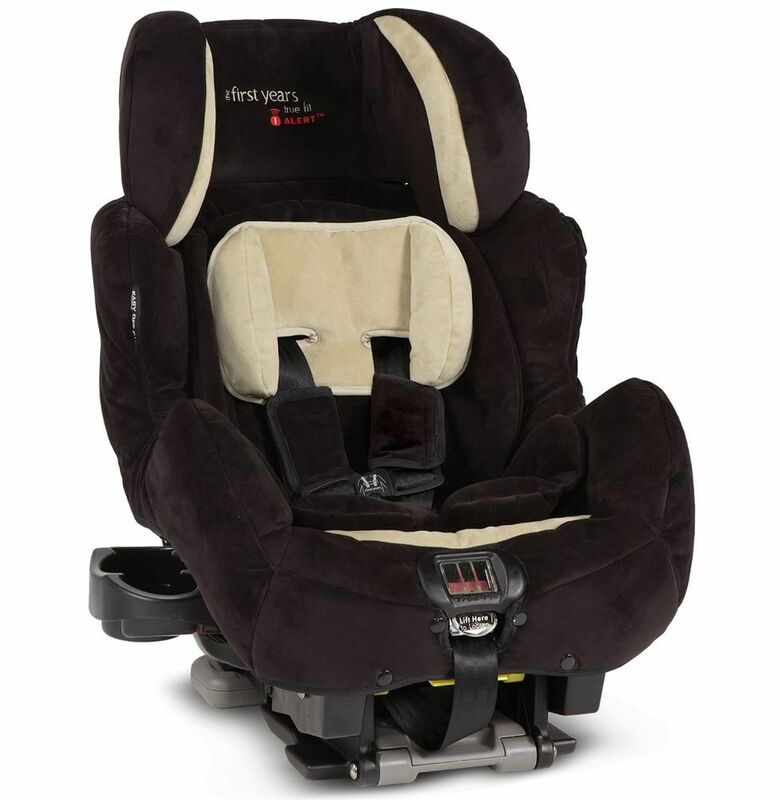 Great car seat and a wonderful price.,. This car seat is made well. The price is great too. We bought two for our twins and love the high quality, durability, and versatile use very much. And the cost is excellent! This car seat is very easy to install, easy to use. It grows with your child. I didn't think twice before I bought this car seat for my second son. My first son loves it, hated car seats prior this one. Highly recommend! You can't beat the price either! I got this carseat for the other car and it is working great for my daughter. It's comfortable and fits well in the car. The directions are a bit confusing, so beware- but once installed it is a nice seat and worth the price. Albee baby makes buying a carseat so easy and shipping was very quick. Thanks! Luxury car seat for the little one! Love the softness and comfort that this seat offers to my little guy. 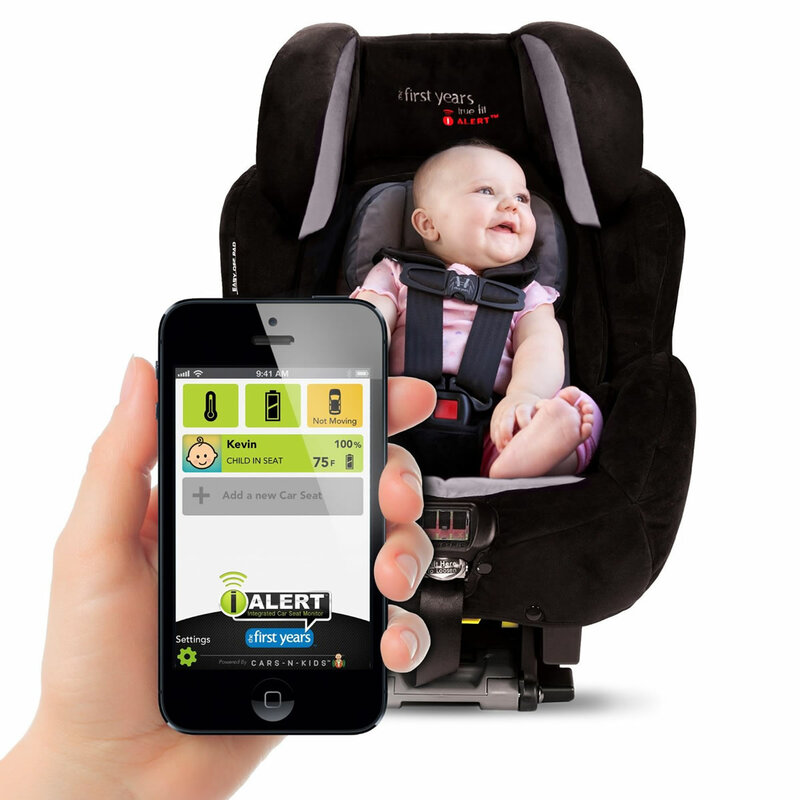 Haven't used the iAlert feature yet, but loving the car seat so far. This seat is so well made it will last for many years. I will feel very confident putting my granddaughter into this seat. 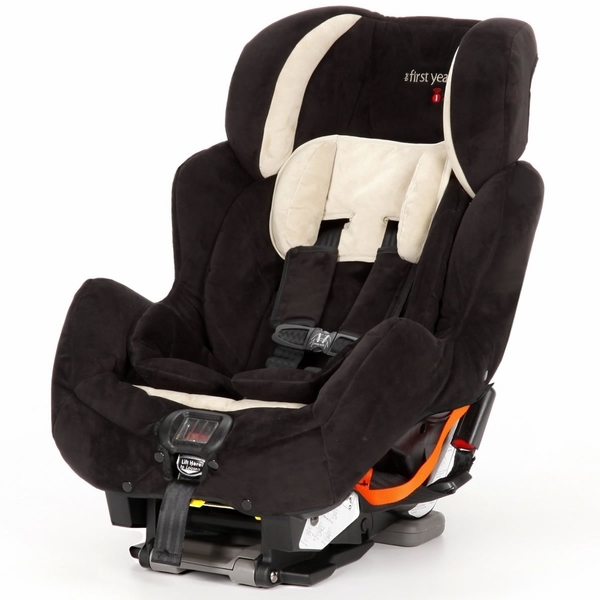 It is so well made and has so many safety features I would recommend it to my friends. A very efficient design! No rethreadind of restraints, fully adjustableCover snaps on/off. Head rest is removeable for rear facing position.Plenty of strap length, and seat width. I already owned a older First Years Premier Fit seat. Like that seat, this C685 True Fit is a very comfortable seat. Plush cushions with multiple recline settings... These are the seats you want to take on road trips because they are so comfortable, my babies sleep harder in these than our Eddie Bauer convertible, Baby Trend infant seat and Graco convertible seats (no head bobbing!). 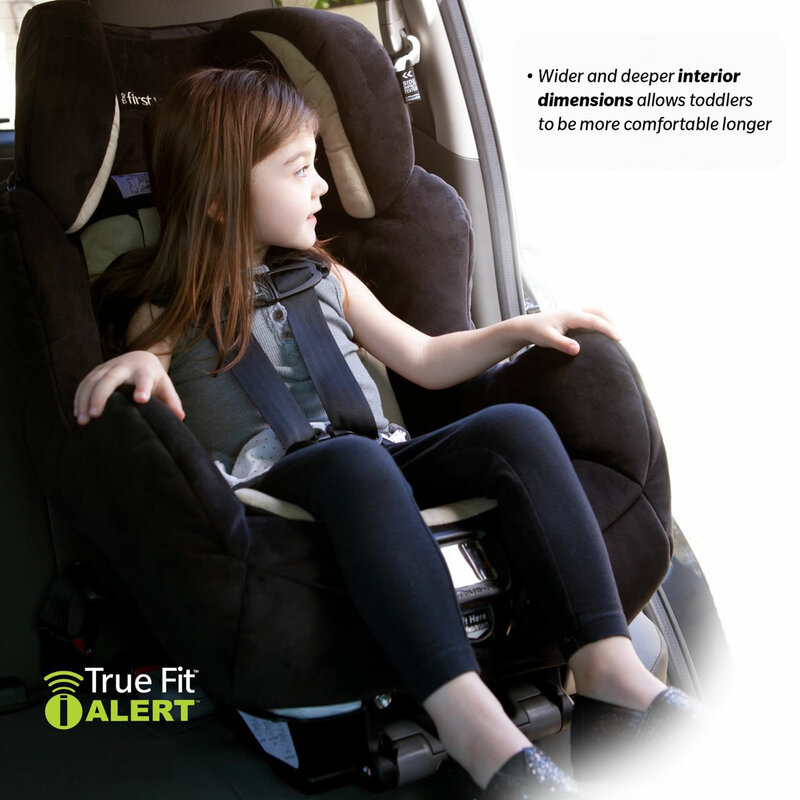 In my vehicle the head rest is removed to accommodate a rear facing position and installed when I'm ready to have the kiddo face forward when her height/weight allows (sometime around 18 mos).Like other reviewers I did have major issues trying to connect the ialert system.... Note: you must remove it from the seat and charge it before connecting, but we still couldn't keep a good connection. But i didn't buy it for the ialert so no tears were shed, just scrapped that idea and installed seat in the car.Would I recommend??? ?- YES definitely (and I have to many friends) but don't buy based only on the ialert. Its a 5 star seat, but since the ialert stinks i deducted a star. Prosmost comfortable seat ever and kids prefer over other seats. We have a two year old First Years True Fut Premier and love it. Safe, super user friendly. Now that our second kiddo needs a new car seat, I really wanted to get the same one but first years isn't making them anymore. So glad to find one still hanging around here! (Even if it has all that i-nonsense we don't care about) And we paid nearly twice as much for the first one with shipping! What are the dimensions for this car seat? PLEASE NOTE: This car seat was manufactured in 2013. The monitoring system works with most smartphones (IOS and Android) in the market today. After a quick download, you can personalize the I Alert app with your childrensï¿½ photos, set up emergency contacts and register your seat for safety alerts. Before you begin using your new car seat, please be sure to thoroughly read the provided installation instructions in combination with your automobile ownerï¿½s manual. We all get distracted now and then, so once you have installed I Alert and your child is comfortably seated in the car, youï¿½ll receive a message to remind you to buckle them in. This alert will appear each time you seat your child. I Alert constantly monitors the ambient temperature in the back seat. Temperatures in the back seat are not as well controlled as the front seat due to dashboard positioning, so your child may not be nearly as comfortable as you are. The temperature inside a car can rise 20 degrees in just 20 minutes, which means a caregiverï¿½s quick trip inside the grocery store, bank or gas station could quickly lead to a potentially unsafe situation. If a child is unintentionally left unattended in the car, an alert will be sent to your phone. If the situation continues, additional alerts will be sent via email and/or text to the contacts youï¿½ve selected during setup and registration of the I Alert software. These alerts will let others know that a child may have unintentionally been left in their car seat. As children grow and begin to explore more, I Alert keeps them safe by sending you movement notifications. If for some reason a child is able to move out of their seat while the vehicle is in motion, an alert will sound on your mobile device. This will be your notification to pull over and re-secure the child in their car seat. And because your safety is equally important, I Alertï¿½s notifications have both audible and visible options, so you wonï¿½t be distracted while driving. The IAlertï¿½s Advanced Side Impact Technology has been tested to international side impact standards. Our energy absorbing foam and contour design helps to reduce impact forces that may occur in the unlikely event of a crash, while providing a comfortable seat for everyday use. 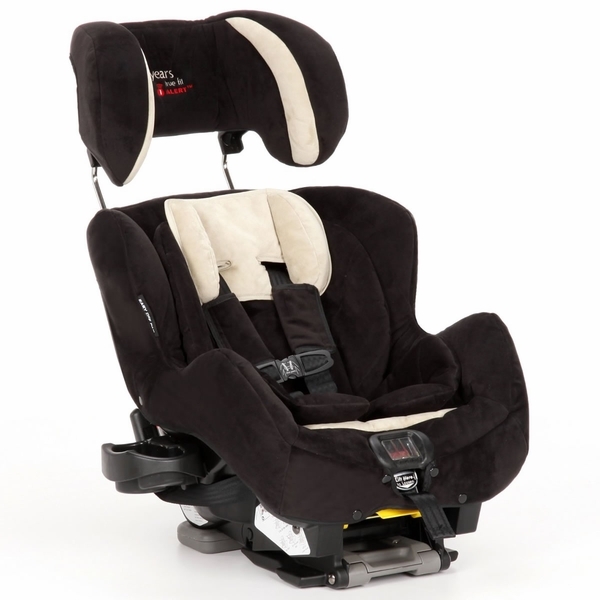 The deep seat means your child fits in the seat as they grow, keeping them secure and comfortable longer. For added convenience, a removable, washable cup holder will hold your childï¿½s sippy cup on the go. This seat features our standard no re-thread, easy-to-adjust harness. Keeping your child rear-facing longer is easy: the harness is for use from 5 to 35 pounds rear facing and up to 65 pounds in forward facing installations. If you've ever tried to re-thread a harness on a car seat, you know how difficult it can be. The IAlert is hassle free, as the harness adjusts simply by moving the side adjusters. Each is clearly labeled to help you determine the correct positioning as your child grows. I Alert features smaller bottom rails and the patented Rebound Energy Management system--a flip up rebound bar that actually helps manage the rebound in the unlikely event of a crash. Simply pull the bar forward and it snaps in place with your rear facing installation. Flip it back with you to move to the forward facing installation. Rebound is the movement that may occur during a crash, the rebound bar assists in stabilizing the rotational forces associated with a crash. 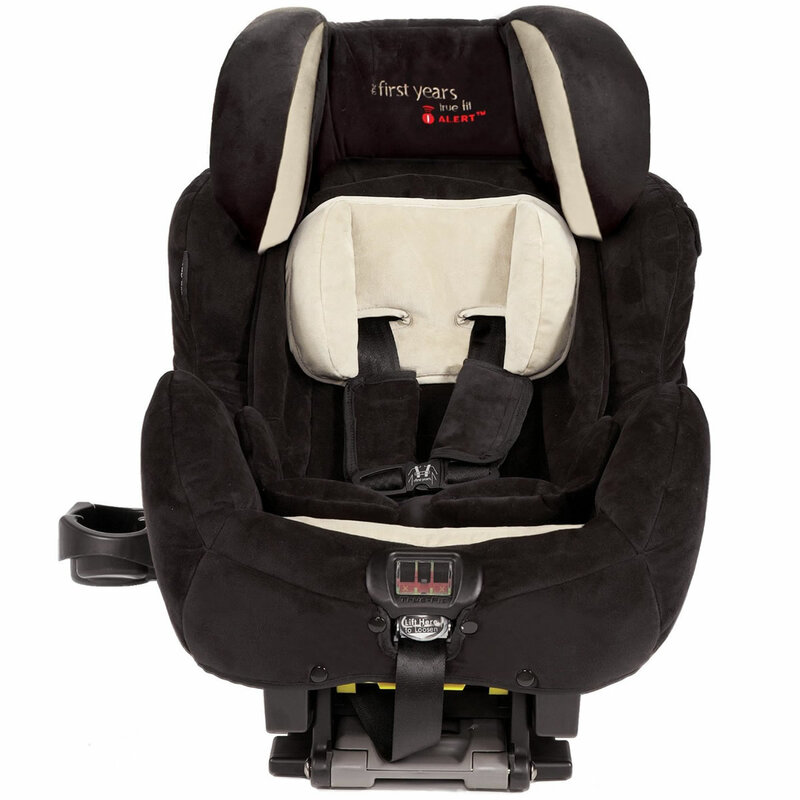 Removable headrest for better rear-facing installation, can be used rear-facing installation, can be used rear-facing with headrest for infants up to 35 pounds.